My boys have Christmas on their mind and have been busy writing their letters to Santa. The toy ads that have been arriving in the mail have given them ideas to add to their list. They are so excited for Christmas to be here. 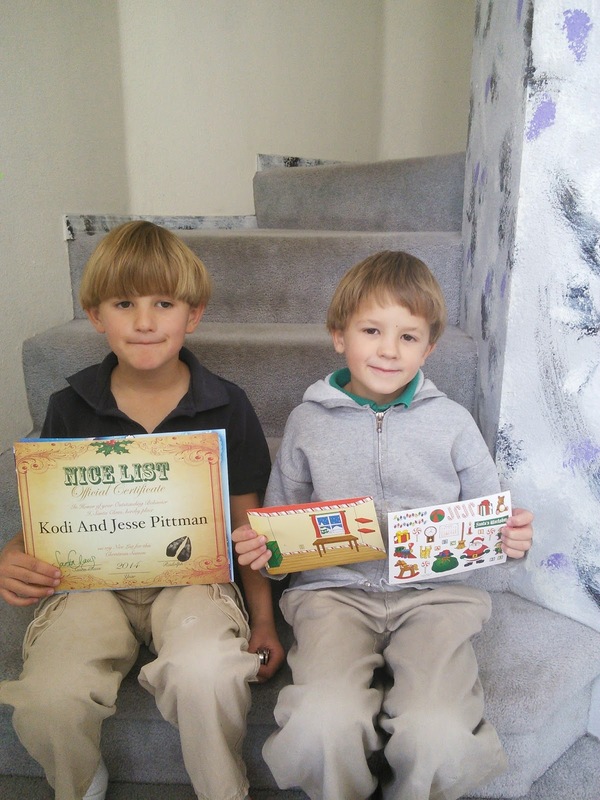 I surprised my boys with a personalized letter from Santa and they were so surprised that Santa wrote them. A big shiny red envelope arrived in the mailbox for them containing a personalized letter from Santa, a Nice List certificate with Santa's and Rudolph's signature, a personalized letter from Rudolph, Santa's workshop stickers, a Christmas game board, a Special Delivery from the North Pole stamp, magic Christmas dust, washable Christmas tattoos, and a free phone call from Santa. The red shiny packaged contained all the above for them. They loved that it had stickers, tattoos and letters with their name on it. They were puzzled, how did Santa know their name and address. I told them Santa knows everything. You too can send your child, grandchild or any other special child a letter from Santa. The shinny red package even has a postage stamp from the North Pole on it. There is personalization throughout the letters for your child. Your child will be thrilled that Santa wrote them and sent them all the goodies. 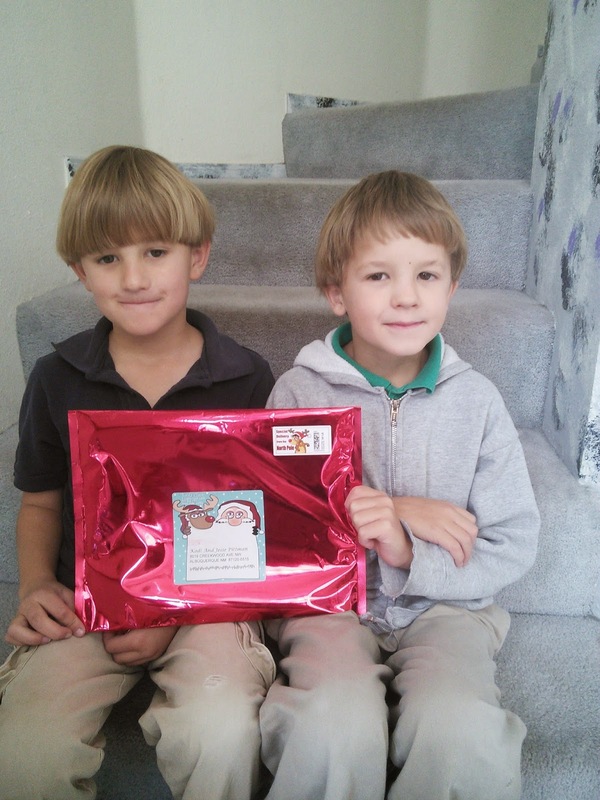 For information on how to send your child a letter package from Santa, click on the below link. 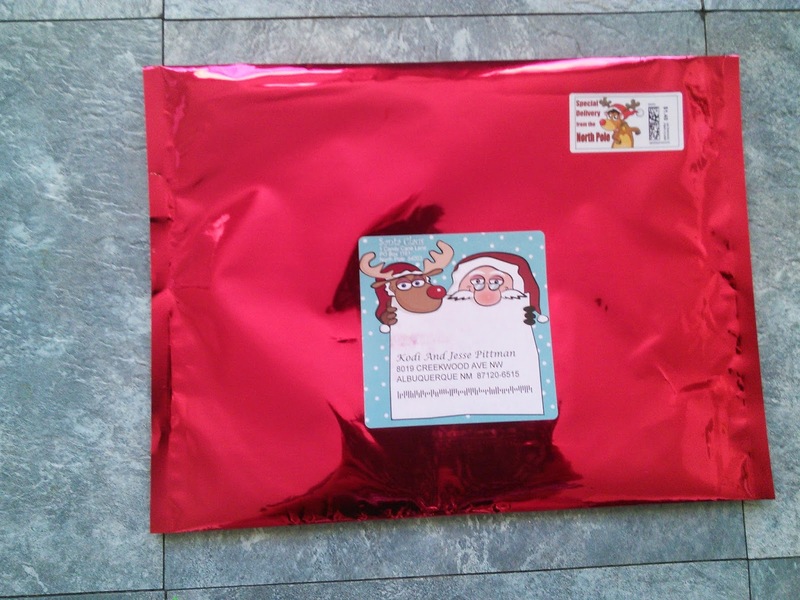 I have a shiny red Santa package to giveaway to one of my readers. 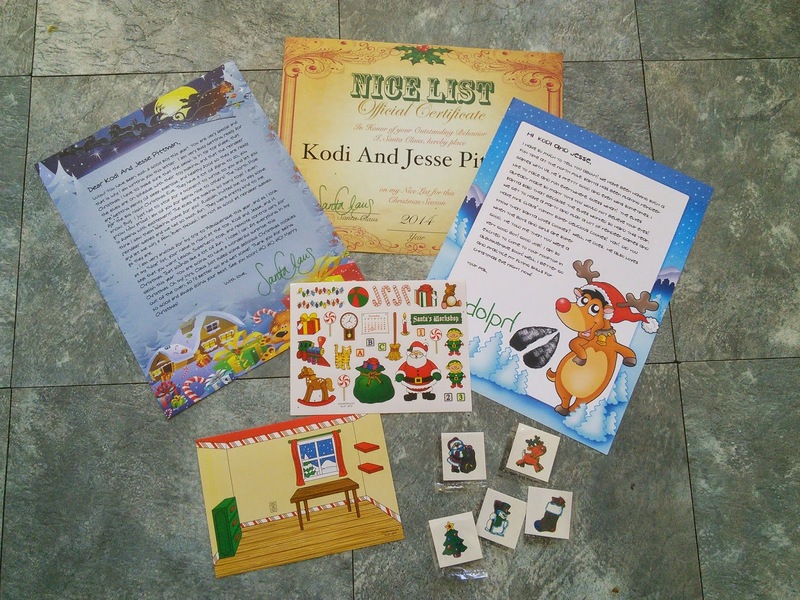 You will be able to order and personalized the Santa package 100% free. Just enter on the Rafflecopter form below and good luck! I would send this to one of my sweet nephews who are young and believe! This is adorable. My son is too old, but this is perfect for itty-bitty's!! I would love my son and daughter to have this! How wonderful! Oh I would love to do this for my grandson!!! It looks so fun! i would love to send this to my youngest son and have another one sent to my grandson these are really cute and a great idea thanks for this chance best of luck to everyone entering!!! I would like to have the letter sent to my son. I'd love to send the Santa letter to my daughter, she would be thrilled! I would love to send this to my niece Kyleigh!